The winner of this year’s 2012 METU SUAM Student Chapter Research Competition is Burak Gozluklu. 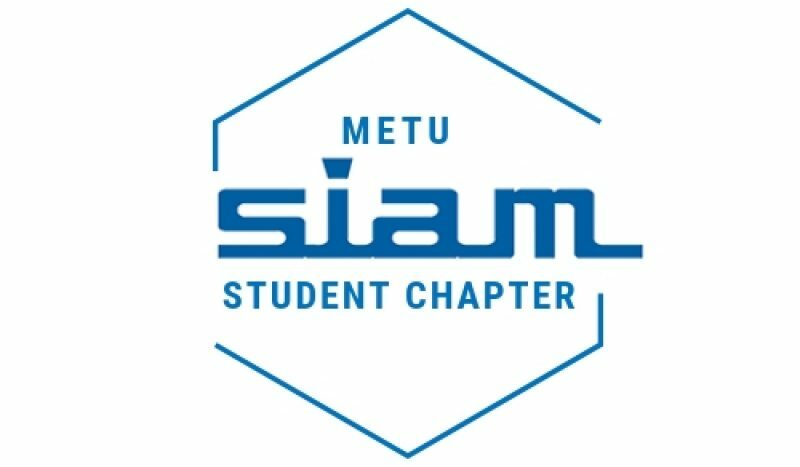 Burak will be representing our chapter at the SIAM Annual Meeting, this July, in Minnesota, USA. His research that competed in our competition is titled Modeling of the dynamic delamination of L-shaped unidirectional laminated composites. We congratulate Burak! Further information about his participation at the annual meeting will be announced through this website. We would like to thank very much all four of our finalists and members: Burak Gozluklu, Mehmet Onur Fen, Serdar Ciftci and Umut Tosun. We think that their participation in our competition with their very high caliber and interesting research articles has made this event a success. The abstract and title of all research articles of the finalists can be accessed here. We regret the last moment change in schedule. Three exciting events this week! In this event the finalists in our research competition will be presenting their work. All university members are kindly invited. Abstract: One of the widely used geometrically complex parts in advanced commercial aircraft is the L-shaped composite. Due to the sharp curved geometry, interlaminar opening stresses are induced and delamination occurs under considerable mode-mixities in L-shaped beams. Dynamic phenomena during delamination initiation and propagation of L-shaped beams are investigated using dynamic (explicit) finite element analysis in conjunction with cohesive zone methods. The 2-D model consists of 24 plies of unidirectional CFRP laminate with an initial 1 mmcrack at the center of the laminate at the bend. Loading is applied parallel to one of the arms quasi-statically. The loading type yields different traction fields and mode-mixities in the two sides of the crack in which delamination occurs under shear stress dominated loading on one crack tip and opening stress dominated loading on the other. The speed of the delamination under shear dominated loading at one side is 800 m/s and under normal stress dominated loading is 50 m/s. In addition radial compressive waves at the interface are observed. Finally, as the thickness is changed, a different failure mode is observed in which a secondary crack nucleates at the arm and propagates towards the center crack. Abstract: In this paper we consider the Duffing equation forced with a pulse function, whose moments of discontinuity depend on the initial data. Existence of the chaos through period-doubling cascade is proved, and the OGY control method is used to stabilize the periodic solutions. Appropriate simulations of the chaos and stabilized periodic solutions are presented. Abstract: In this paper, we propose a new edge detection mechanism using a local consistency measure, called Intersection Consistency (IC). IC, which was previously shown to improve detection of junctions (Kalkan et al., VISAPP, 2007), evaluates how much the hypothetical lines going through high-energy pixels in a window point towards the center of the window. The high-energy pixels can be found using partial-derivatives in horizontal and vertical directions or can be even other edgedetectors, in which case IC improves detection quality of the corresponding edge detector. We compare IC with four different edge detectors (namely, Canny, Laplacian of Gaussian, Intrinsic Dimensionality and Line Segment Detector) on the Berkeley Segmentation Database and show that (i) IC as a new edge detector performs on par with other detectors and (ii) IC can improve the quality of other edge detectors. optimization problems with a diverse set of applications. It is ubiquitous in nature since it can be transformed to many problems like query optimization in distributed databases, weapon target assignment problem and travelling salesman problem. Exhaustive search methods are inadequate to solve large dataset sizes while parallelization can provide only a linear speed-up which is typically of little use since the problem complexity increases exponentially. Genetic algorithms and tabu search metaheuristics may provide near optimal solutions for large QAP instances in hours, even minutes. Furthermore, parallel processing has improved performance of many algorithms making it attractive for solving intractable problems. However, the problem is still computationally demanding. In this study, we propose a new hybrid parallel robust tabu search algorithm called PARTS consisting of an intelligent diversification phase executed on a seed solution obtained by using a genetic algorithm. PARTS exploits parallel genetic algorithms in its seed construction phase to provide high quality seeds to the tabu search diversification phase. The tabu search diversification phase uses parallel computing to improve intermediate solution quality and also to reduce the search time in the final phase, robust tabu search. We performed our tests on a comprehensive set of instances from the QAPLIB problem instances library. The PARTS algorithm is experimentally shown to provide better performance in terms of solution quality and optimization time, compared to many of the best sequential and parallel approaches from the literature. PARTS consistently achieves results (average of 10 random runs) within 0.5% of the best solutions given in QAPLIB for all problem cases considered. To the best of our knowledge, PARTS has better performance than all methods reported in the literature. Umut Tosun, Department of Computer Engineering, Parallel Hybrid Robust Tabu Search Algorithm for the Quadratic Assignment Problem. We congratulate our friends. They will be presenting their research next week on Tuesday (Feb 28, 2012). The winner will be announced soon after the presentations. Bounding the number of points, with coordinates in a finite field, on algebraic curves has attracted much attention, especially after the discovery of V.D. Goppa of good linear codes from such algebraic curves. This talk will be a survey on Curves with Many Points, specially the so-called maximal curves; i.e., the ones attaining Hasse-Weil upper bound (equivalent to the validity of Riemann Hypothesis in this context). Bounding the number of rational points (rational places) on algebraic curves (function fields) over finite fields has attracted much attention. The most famous result here is the Hasse-Weil bound which is equivalent to the Riemann Hypothesis in this context. Ihara was the first to realize that the Hasse-Weil upper bound becomes weaker as the genus grows. He then introduced a quantity (now known as Ihara’s quantity) that controls the asymptotic on rational points (rational places) as the genus grows to infinity. The only situation where the exact value of this quantity is known is the case of finite fields of square cardinalities (due to Ihara using Shimura modular curves). Over finite fields of cubic cardinalities one has a good lower bound (due to Zink and Bezerra-Garcia-Stichtenoth). For any other cardinality (not a square or a cube) essentially nothing was known about the behaviour of Ihara’s quantity. The aim of this talk is to present some explicit infinite towers of curves (function fields) giving very good lower bounds for this quantity over any non-prime finite field. This is joint work with Bassa-Beelen-Stichtenoth. Speaker’s visit to Turkey is supported by Tubitak. The application stage of our first ever research competition is now over. We thank all of our fellow students for their applications! Those who complete the first stage of evaluation successfully will be announced on this page in the coming weeks.